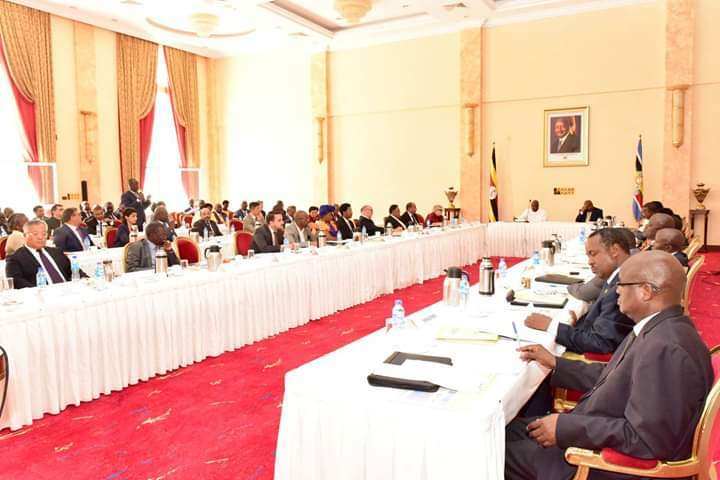 ENTEBBE – President Yoweri Museveni is holding the 6th Round of the annual Presidential Investors’ Roundtable (PIRT) meeting at State House, Entebbe. The meeting is being attended by representatives of government agencies and departments, international and local private sector representatives in Tourism, Agriculture, Minerals, Oil and Gas and Transport. The discussions are aimed at improving Uganda’s competitiveness in the world economy. The PIRT is a high-level forum that brings together a select group of both foreign and local investors to advise the government on how to improve the investment climate in the country. The PIRT process and engagement, which is coordinated by the Prime Minister in collaboration with the Uganda Investment Authority (UIA), has continued to grow and develop since its launch in 2004. Previous PIRT phases have focused on selected strategic thematic areas key among others, agribusiness, ICT, Education, Infrastructure, and the Regulatory Environment.